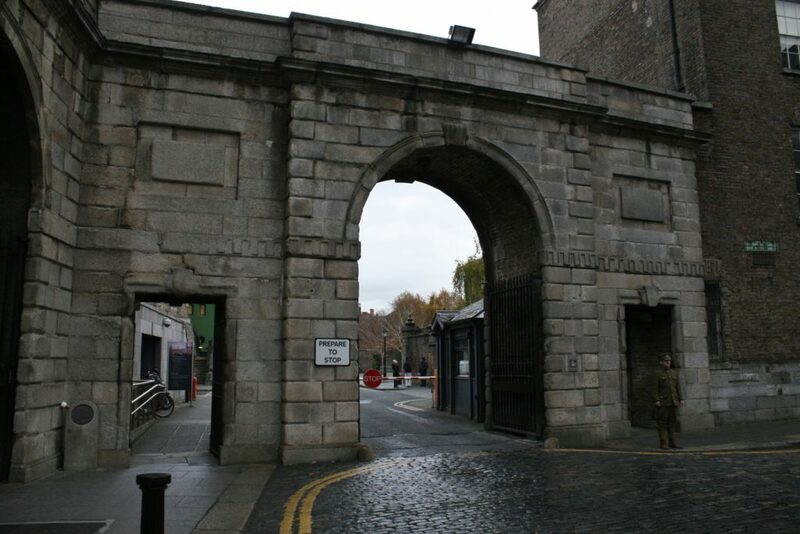 One of the gates to Dublin Castle, the centre of British power in Ireland in 1916. 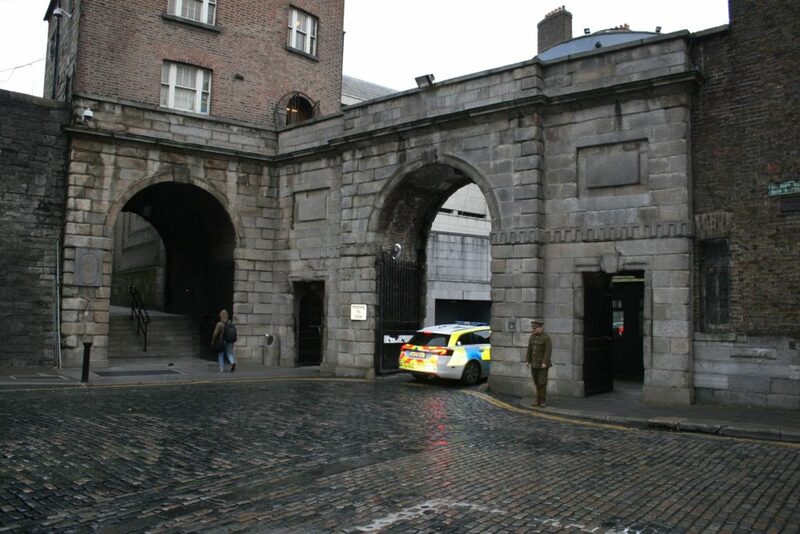 If the rebels could seize the castle, a large, rectangular building which dominated the centre of the city south of the River Liffey, not only would it prove a huge propaganda coup, but it might result in the capture of leading members of the Irish political administration who were known to be within the castle walls, and certainly would provide the rebels with a strategically important stronghold in the heart of the city. Around noon on 24th April 1916 the first shots of the Rising were fired here at the castle, as a small party of men and women from the Citizen’s Army assaulted the main castle gate. Helena Moloy was among them. 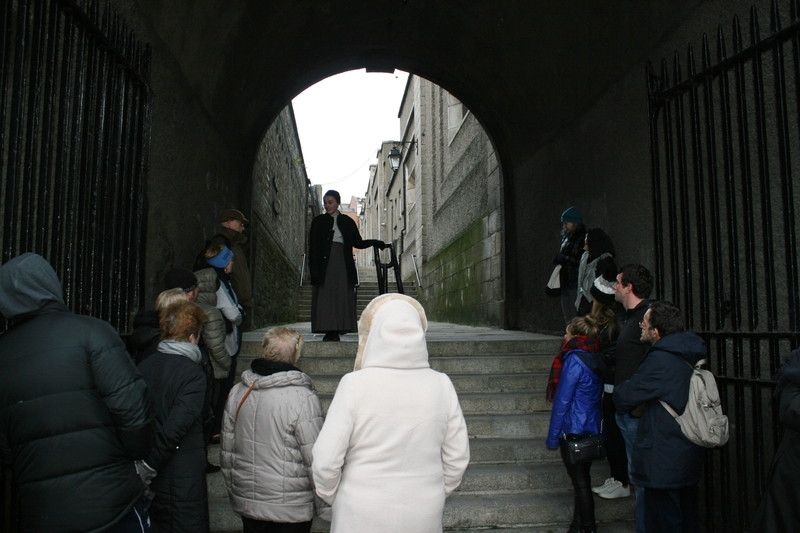 “We went right up to the castle gate, up the narrow street. Just then, a police sergeant came out and, seeing our determination, he thought it was a parade, and that it probably would be going up Ship Street*. 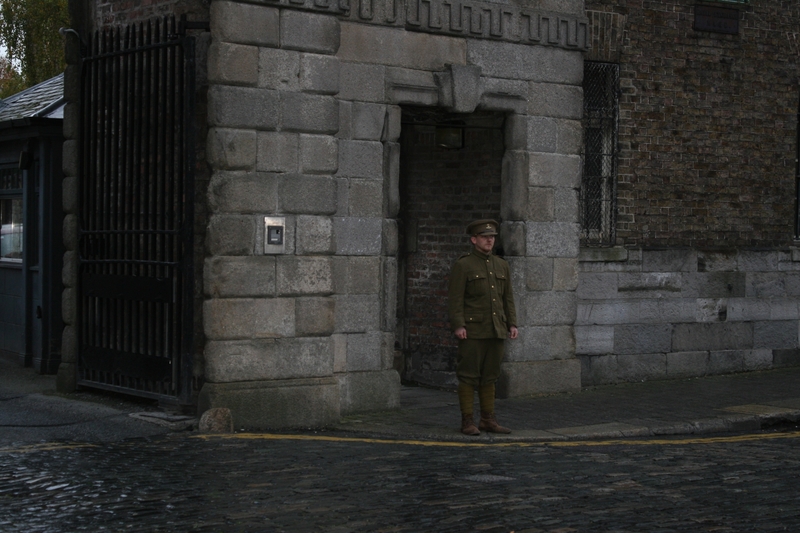 When [Seán] Connolly went to go past him, the sergeant put out his arm, and Connolly shot him dead…Connolly said, “Get in, get in”, as if the men [behind him] did not know they were to go in…there was hesitation on the part of the followers. On the flash, the gates were closed. It breaks my heart – and all our hearts – that we did not get in.” The unlucky policeman had become the first casualty of the Easter Rising. *note street sign in the photos above & below. 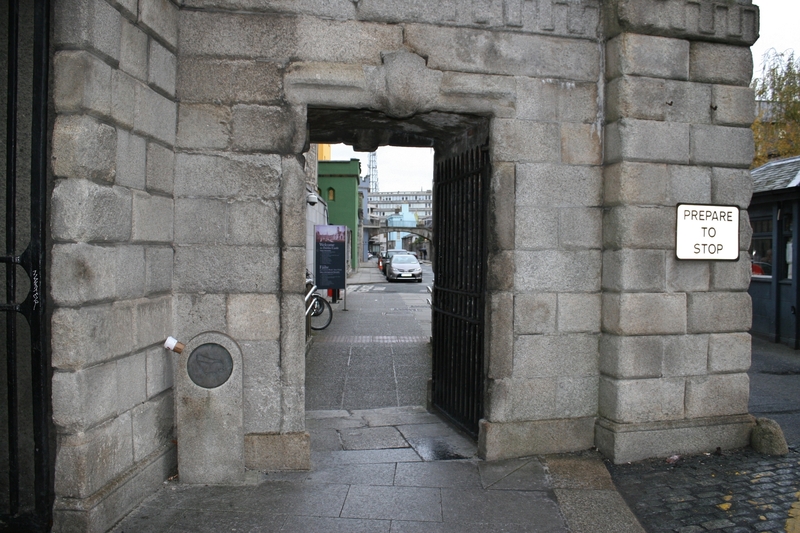 Connolly, who was heard to say that he deeply regretted the policeman’s death (actually a Royal Irish Constabulary constable named James O’Brien), then ordered his party to seize the nearby City Hall (he worked there, and thus had a key) and place men in defensive positions around the domed roof; it was here that he would become the first rebel leader to die in action, as a single bullet from a soldier within the castle shot him dead. 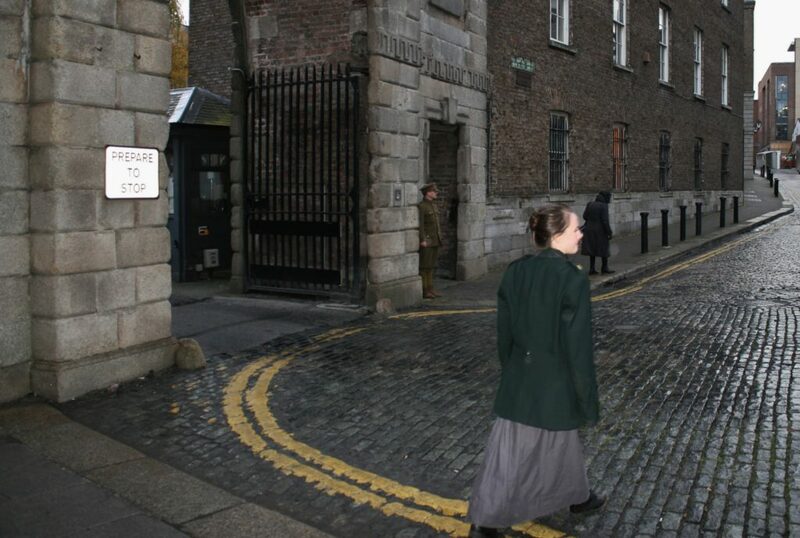 According to Dr Kathleen Lynn, who was with the rebel party at the castle that day in a medical capacity, “It was a beautiful day, the sun was hot and we were not long there when we noticed Seán Connolly coming towards us, walking upright, although he had been advised to crouch and take cover as much as possible. We suddenly saw him fall mortally wounded by a sniper’s bullet from the Castle. First aid was useless. He died almost immediately; that I think was in the early afternoon.” The rebels gave up their position at City Hall that night. I have read that a sniper in the castle’s Bermingham Tower was responsible for 53 rebel casualties before he was killed on the final day of the Rising. Next: Trinity College.